The reason I pick this part of the PCT to work on every year is not just that it needs brushing, but that I so love spending time on this ridge. 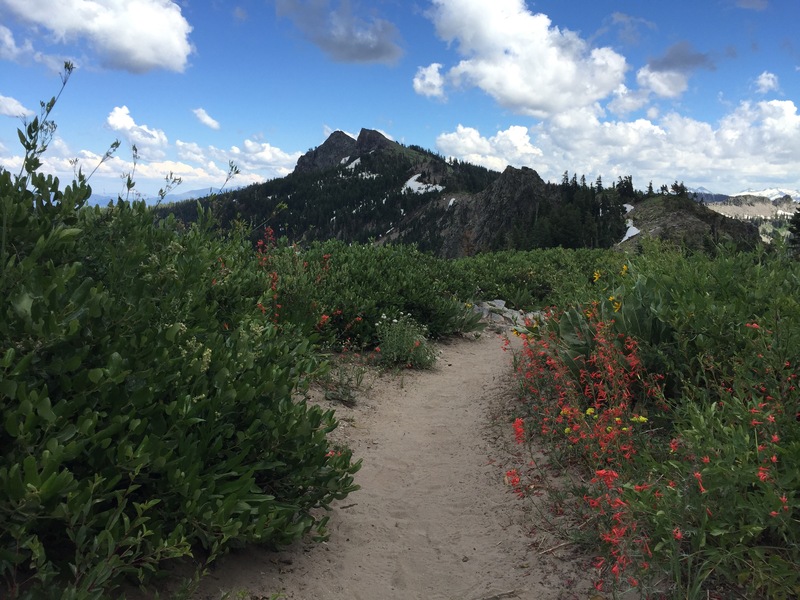 The views east are spectacular, over Lake Tahoe and the weather over the Carson Range, often thunderstorms developing when the main crest is clear. The views west are intriguing, down into the wilderness, where the real wilderness is, and beyond, to the coast ranges. When the valley air is clear, not often, the details of the coast range and Bay Area are clear, and at night the lights in the valley, kind of neat at a distance. Usually thunderstorms develop over Nevada, the Carson Range, and sometimes move west to the crest, but on Wednesday moisture coming from the west developed some thunderheads, thunder, and light rain for a half hour, while the Carson Range was mostly clear. When there is snow on the ridge, usually in banks on the east just below the ridge where it gets blown during the winter in strong winds, I can melt snow and stay up here for many days. I use my black Jetboil pot to melt, and I can keep up with my daily use if I stay on top of the melting. 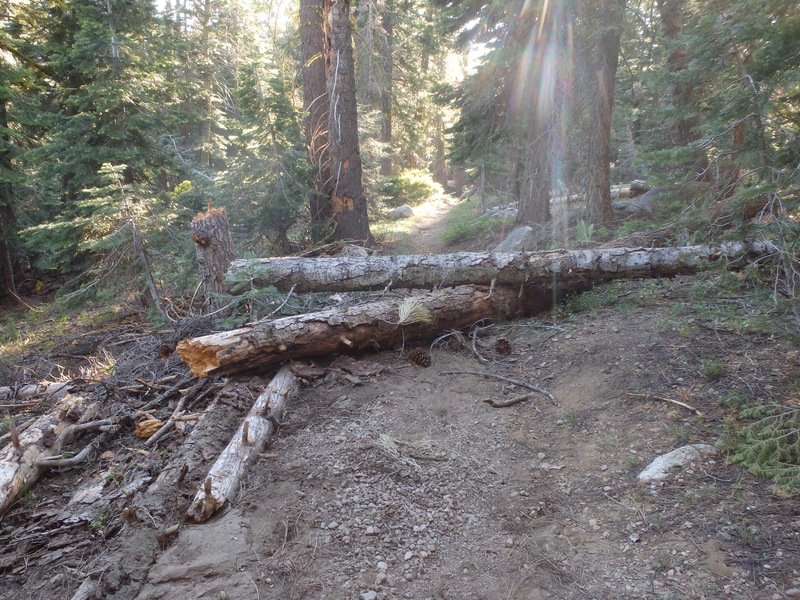 I went in on the Granite Chief Trail from Squaw Valley, which has a few trees down but easy to get around, then south along the PCT. Granite Chief saddle has a lot of snow on the north side, but the route is not hard to find. People southbound rarely have problems here, but many northbound hikers drop too far down into Shirley Canyon and have a hard time finding the trail again. The trail from the saddle south to the TRT/PCT junction is in good condition, a few tress down but surprisingly few, some trail erosion but not bad. 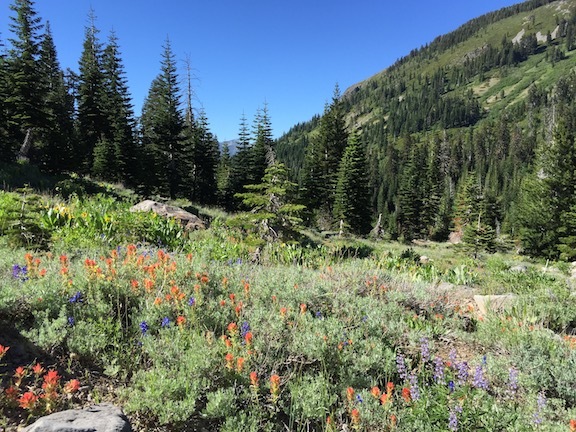 I hiked out the TRT to Tahoe City, so don’t have anything to report about the TRT/PCT south to Barker Pass, but I’d guess many snow banks but no big issues. 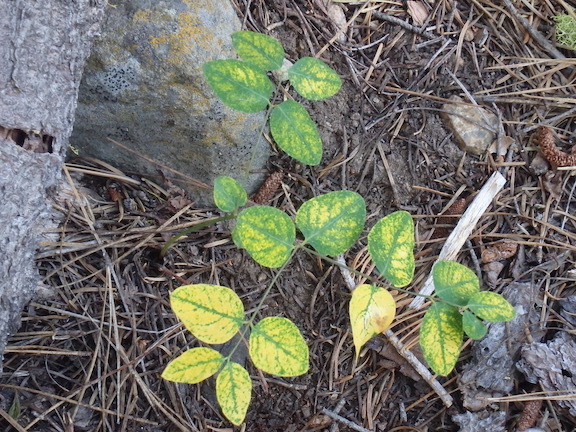 Other than snow banks on the upper portion, the TRT trail down into Ward Creek and Tahoe City is in good condition, having been logged out already by a TRTA trail crew. 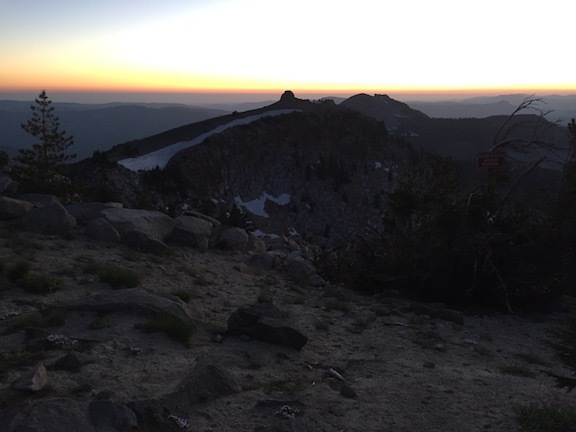 The PCT thru hikers are out in force, but interestingly, about half were going south, having skipped over the high Sierra to Donner or even Ashland and now heading south to pick up the section with somewhat less snow. Looking into the Desolation Wilderness, however, snow there is still deep and must be much deeper at high elevations to the south. Dicks Pass is 9400, but the highest pass on the PCT is 13,143, Forester Pass. There were people who had come through the high Sierra headed north, but I have to say that they all looked beat and not very happy. I think the route flippers were much happier. The next big project on my list, for next year, is to work on the Powderhorn Trail. If anyone hikes that and has conditions to report, please do so. I think the middle section is in horrible condition, brushed closed in spots, but I haven’t been there in two years, so I’m guessing. 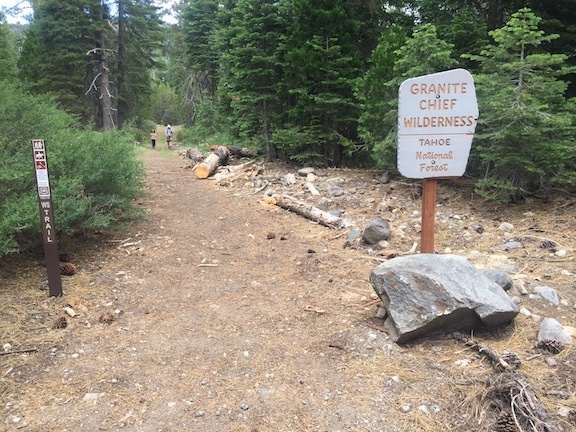 This entry was posted in Trip Reports and tagged Granite Chief Trail, Granite Chief Wilderness, Pacific Crest Trail, PCT, trail maintenance on 2017-07-28 Friday by Dan Allison.